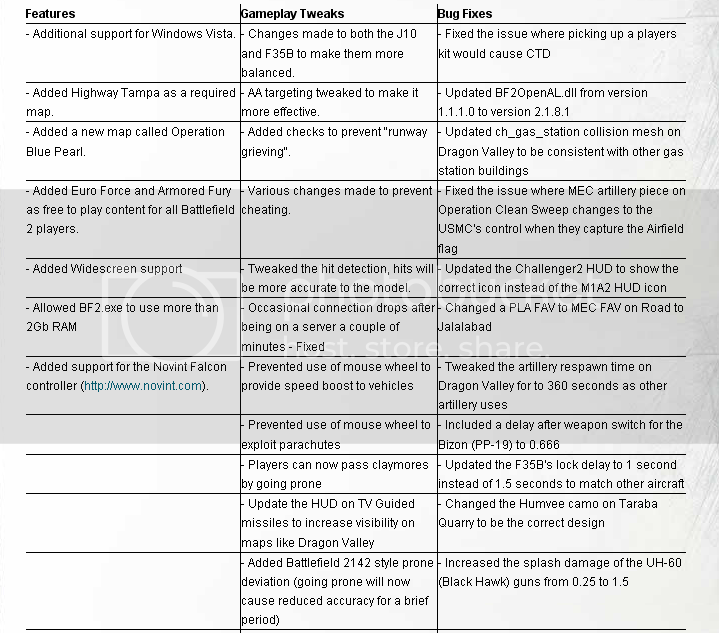 as a registered member of Battletracker.com (formerly known as BF2Tracker) and active Battlefield2 Player we would like to inform you that the final BF2 Patch v1.50 is coming Tuesday September 1st! After nearly a year of development and three public beta tests Battlefield 2 v1.50 is ready for release! The update will be released on Tuesday 1st September at 5pm UK, 6pm Europe. bring on that widescreen support !